Warning: this is not the same as iced coffee. 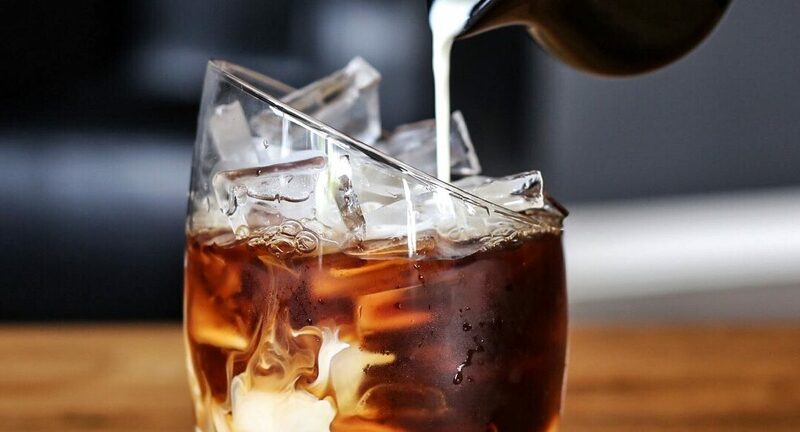 Iced coffee is traditionally brewed coffee poured over ice. Because the cold brew process doesn’t involve heat, certain chemical compounds within the coffee bean that make coffee bitter do not dissolve into the water. The resulting brew has about ⅓ the acidity of regularly brewed coffee. Cold brew is said to be smoother and richer, since it is less bitter than regular coffee. 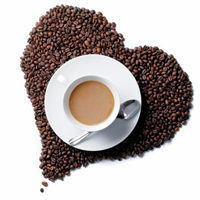 It also avoids the “burnt” taste that can emerge when the water running through your regular coffee maker is too hot. Cold brew coffee also goes exceptionally well with cream and sugar, so it is naturally predisposed for coffee cocktails and mixed beverages. A pitcher of cold brew doesn’t go stale as quickly as hot-brewed coffee either. 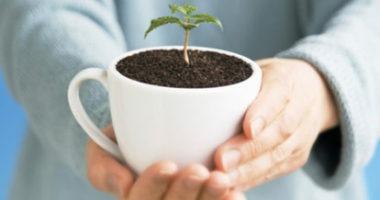 In fact, you can use older coffee beans with better results, and the resulting brew will be good to drink for up to two weeks. Feel free to make a big batch to last your family the whole week. With so much potential, it’s easy to see how cold brew has grown in popularity. Whether you’ve seen Cold Brew being offered at your local coffee shop, or in your grocery aisle, what you have to realize is: not all cold brew is the same. There are several different ways of making cold brew and several different coffees and coffee concentrates being sold to the public. Even cold brew made with the same coffee grounds could vary widely in flavor depending on how much water you use and how long you let it steep. More on that later. Here at Coffee Wholesale USA, we have found a myriad of ways to make cold brew. The traditional choice would be coarsely ground coffee, but we have experimented with Coffee Pods and Filter Packs as well, and they are both capable of producing an equally delicious cup of coffee. So, to help answer all your brew-ding questions about cold brewing at home, we are launching the Ultimate Guide to Cold Brew Coffee. This series is going to walk you through the options currently available to a cold brew connoisseur. We will cover the entire process step by step, so you will be able to personalize your coffee experience to a “T”. The process itself is not difficult or tedious; it’s just open to so many possibilities. Do not go out and buy yourself a “Cold Brew Coffee Maker.” They’re all just a mashup of filters and pitchers, because that’s all you need. And in our experience, those built-in filters don’t work very well. You might see a “complete cold brew system” that looks like a tall drip coffee contraption that basically just lets steeped coffee drip through a filter into another pitcher. Unless you’re trying to display the fact that you drink cold brew to the guests in your home, you don’t need that. Just walk away. One of the joys of cold brew coffee is that it requires no specialty equipment. However, if you absolutely must go out and buy a special new thing in order to try out your special new coffee, get yourself a french press, but know that you’ll probably end up straining coffee from it separately anyway. You will learn about the options available in each of these steps: ground coffee vs filter packs, how long to brew, recipes in which to use your cold brew, and more. By the end, you will be able to customize your cold brew exactly the way you want it, and you’ll be able to recognize some key differences in commercially available cold brew products. Where did this summer trend even come from? Didn’t Starbucks invent it as an alternative to iced coffee? We thought you’d never ask. Some of the first written evidence we have of cold brew coffee indicates that coffee concentrate was actually used for military rations. Many European countries and the US are known to have sent concentrated bottles of “coffee syrup” with their troupes to be reconstituted with water in the field as early as the 1860s. As far as commercially available cold brew is concerned, the Japanese were the first to create a shelf-stable can of ready-to-drink coffee in the 1960s. That decade also saw the first cold brew systems for consumers to use at home. No, Starbucks didn’t invent cold brew when they rolled it out last summer. People have been brewing concentrated coffee for hundreds of years. Starbucks merely found a consistent way to make it taste great and you can too.